This sculpture measures 9" x 20". It is reproduced in bronze metal on a solid granite base. Certificate of Authenticity. 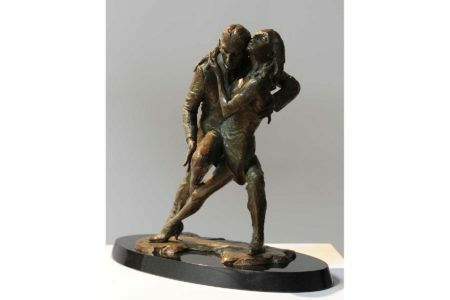 Each bronze sculpture is accompanied by a Certificate of Authenticity that is signed, numbered and thumb printed by Fabian Perez.